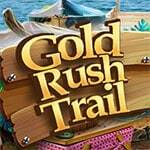 Gold Rush Trail Game: Finding one of the most expensive metal that the Earth has given, the shiny gold is one of the activities that people who love adventure adore doing. There are such people who would go through this process for whole life. They are believing that something wonderful is going to happen to them. Getting richer is something that most of people want. Finding even the smallest peace of gold means luck for someone, because gold always has good price and value. Donna and Andrew are guides of expedition. Which task is to follow the road of the first gold diggers in the United States of America. They are equipped with tents and with camping equipment wanting to hold on to all the bad weather conditions. Their goal is find all the objects that can help them exactly so they will define the way that first gold diggers have used. Now they have the first signs that will tell them their way, and it is important that you help them in this mission. Who knows, maybe you will be the happy person who finds some gold. So it is the time to be in the adventure spirit and enjoy Gold Rush Trail Game.